IDW Publishing proudly welcomes Michel Fiffe, creator of the critically-acclaimed indie comic Copra, to bring his auteur style to the all-new G.I. Joe: Sierra Muerte miniseries. Written, drawn, lettered, and colored by Fiffe, Sierra Muerte will debut in Spring 2019 as a bombastic-yet-personal, gritty-yet-colorful account of Hasbro’s iconic G.I. Joe team’s quintessential mission. In G.I. Joe: Sierra Muerte, a core team of classic heroes goes rogue on a hunt-and-rescue double mission. With everyone trying to thwart Cobra Commander – even Cobra itself – and with Storm Shadow going AWOL, a pack of America’s fighting elite risks life, love, and honor in this fast paced, one-stop-shop adventure. 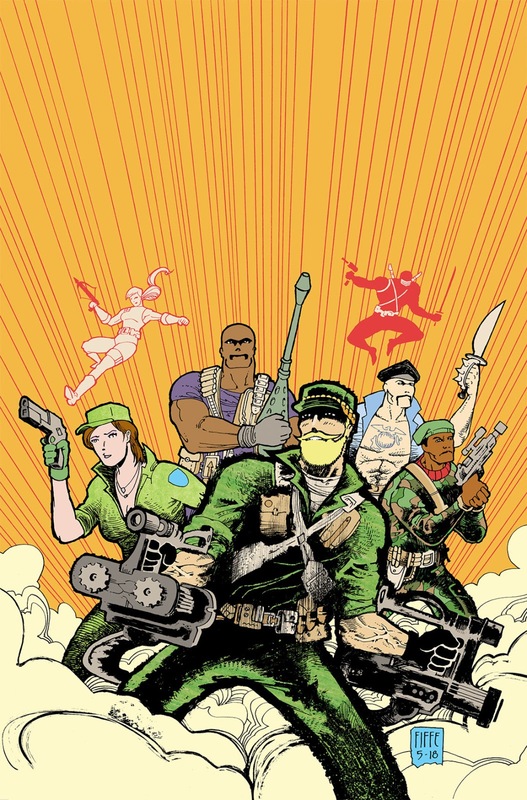 Michel Fiffe will join IDW Publishing at this year’s New York Comic Con to promote the new G.I. Joe series with signing times, sketched prints available soon for preorder (featuring original head sketches of classic characters), and promotional posters. For information on how to secure copies of the G.I. Joe: Sierra Muerte comic book series, please contact your local comic shop or visit www.comicshoplocator.com to find a store near you.